I will be hosting a panel series called “Why This? Why Now?” I curated it with my friend Chris Weber. We met a long, long time ago in Denton at the Good/Bad Art Collective. He started a label that put out one album called The Magic is You! Speaking of friends, I got to book my friend, Joel, for the Why Froyo? Why YOLO? panel. He has a web comic series called Hijinks Ensue. 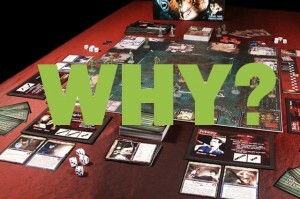 Charley Miller, who helped with the .357 Lover board game, will talk about boardgames for the Why Zombies? Why Boardgames? Also, Issac Marion, who wrote Warm Bodies, will talk about zombies. I will meet everyone else at the show including the Why Fan Fiction? Why YA? panel. I’ve never hosted a panel.